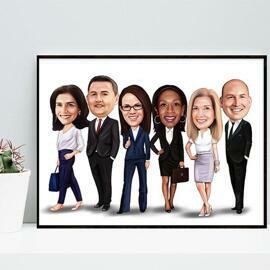 Order a group caricature drawing from photos, in black and white pencils style, drawn on A4 or A3 Paper. 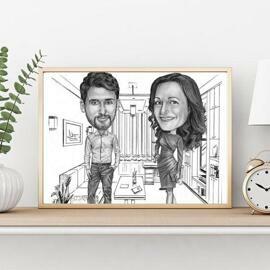 If you are looking for a personalized group drawing of your staff members, then our artist can create for you one, from submitted images. 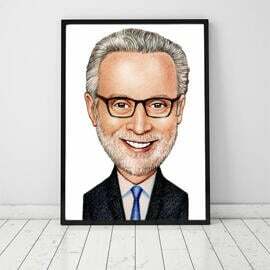 Caricature of employees can also make an excellent gift idea for your Boss or colleague, who is going into Retirement or moving away. It is always pleasant to get from your coworkers a really symbolic gift, which will remind you people, friends and beautiful years working in this company. 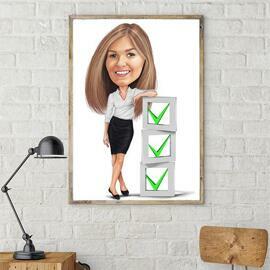 Caricature can include your company's logo, any custom inscription as parting words for this person. 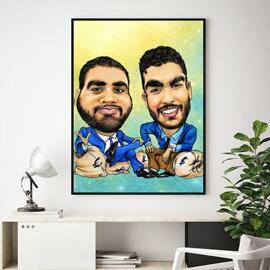 We would like to make a caricature, which will leave a lasting impression on the recipient. 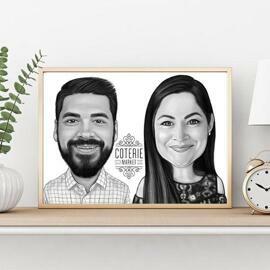 So, we are free to discuss all of your requirements and wishes. 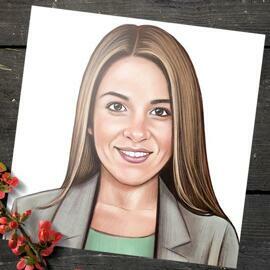 Caricature will be delivered as a ready-to-be-printed JPG File to Email. 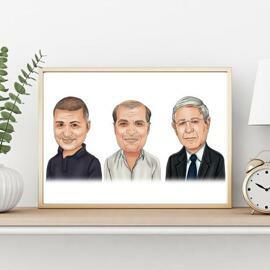 Additional delivery options: Original Caricature drawn on Paper, Caricature printed on Canvas and Caricature printed on Archive Crystal Photo Paper of multiple sizes. Worldwide shipping is available for each printed item.